Carolina Nitsch is pleased to present Renaissance Unframed, a series of 25 encaustic drawings on muslin with companion sculpture by Richard Tuttle at her Project Room in Chelsea, New York. The 25 fabric pieces will be rotated every 2 weeks throughout the exhibition period with approximately five works being shown at a time. This series, created in 1995 and previously unseen in New York, is a complex hybrid of drawing and printing. Tuttle freely applied pigmented encaustic wax through an open silkscreen and onto painter’s muslin then pinned the works loosely on the wall so that they drape and fold engaging a sculptural aspect to the work. A 26th element, a bronze sculpture placed on the floor, always pointing north, completes an alphabetical theme prevalent in the artist’s body of work. With Renaissance Unframed Tuttle brings together different materials, ideas and cultures enmeshing and “unframing” them and presenting something new, hopeful, and optimistic. The series explores fabric as a medium to receive color and as a tool to direct its movement. The silk screen, a type of cloth, acts as a grid to organize the hot, pigmented wax before it embraces the muslin. Cloth to cloth, weave against weave, they exchange color in a unique process like an exchange of ideas between two people or two civilizations. The pigment is delivered to different depths of the muslin depending on the temperature of the encaustic, creating soft and hard edges and appears close or far away. The works are then uniquely folded and pinned to the wall, as if evidence of mankind’s long historical relationship with fabric. One is reminded of cloth folded and wrapped in ancient tombs, a shroud, swaddling a newborn, folding the sheets, making the bed; literally and figuratively the fabric of our lives. Renaissance Unframed is completed with a 2 part bronze object placed on the floor representing the antithesis of the light colored fabric on the wall. Dense black and deceptively heavy, it is bisected by a diagonal that can also be found repeated in the encaustic color on the cloth. The bronze is common to each piece and acts as a 26th "letter" at the same time it acts as a framing device. Tuttle alludes to the cloth pieces as a feature of a culture whose orientation is North/South and the bronze representing its opposite, East/West. Installed together they symbolize the entire world. 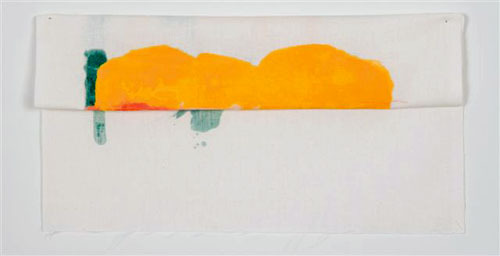 Richard Tuttle conceived Renaissance Unframed at the Institute for Research in Art/Graphicstudio at the University of South Florida, Tampa. 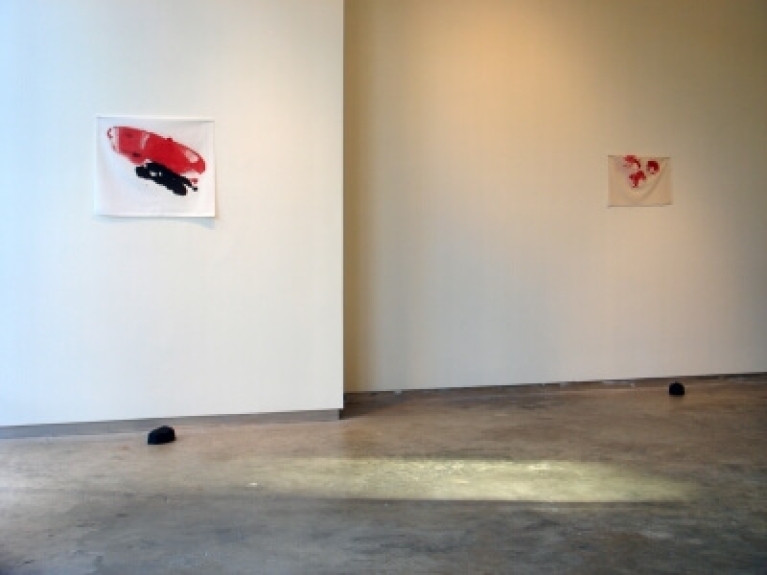 The entire series was first shown at the USF Contemporary Art Museum and accompanied by a publication with an essay by Hank Hine. We would like to thank Margaret A. Miller, Director of the Institute for Research in Art, to facilitate this exhibition in New York.